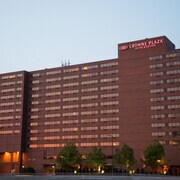 Situated in a shopping district, this hotel is within a 15-minute walk of Mall of America and Nickelodeon Universe. Sea Life Minnesota Aquarium and Crayola Experience are also within 10 minutes. Mall of America Station is 8 minutes by foot and 28th Avenue Station is 11 minutes. 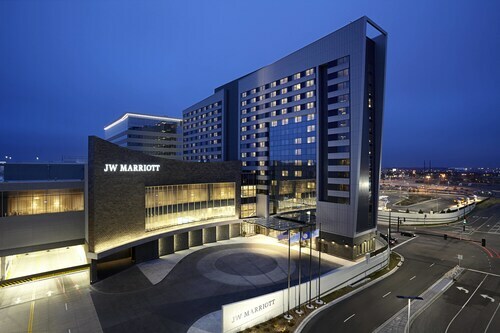 Situated in a shopping district, this hotel is within a 15-minute walk of Sea Life Minnesota Aquarium, Mall of America, and Nickelodeon Universe. Crayola Experience and Minnesota Valley National Wildlife Refuge are also within 2 mi (3 km). 28th Avenue Station is 6 minutes by foot and Bloomington Central Station is 12 minutes. 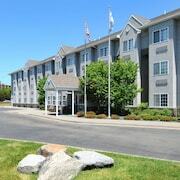 How Much is a Hotel Room in Bloomington? 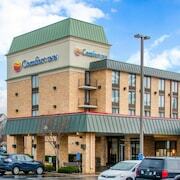 Hotels in Bloomington start at $50 per night. Prices and availability subject to change. Additional terms may apply. There are two sides to Bloomington, Minnesota: In one corner, the nation's largest enclosed shopping center. In the other, more than 1,000 square feet of parkland per person, not to mention Hyland Park Reserve to the west and the Minnesota Valley National Wildlife Refuge to the southeast. Cheap flights to Minneapolis – just 10 miles to the north of Bloomington – are usually the best way to reach this beautiful, many-faceted town. 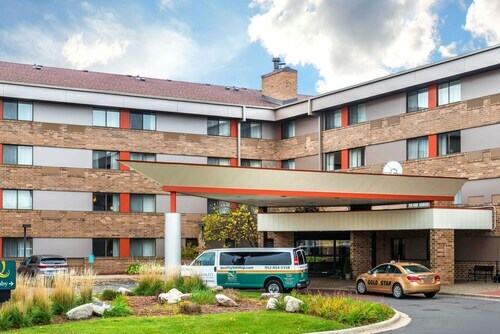 Book one of the hotels in Bloomington now so you don't miss out on the chance to explore all that it offers. If you're into shopping, you're going to want to stop by Bloomington's Mall of America, the nation's largest fully enclosed shopping mall, which has more than 500 stores and a bevy of non-store attractions like a flight simulator. But Bloomington is more than "just" shopping and beautiful green spaces. You'll also find a collection of theme parks for everything from Star Trek to Lego, cultural attractions like Japanese gardens, and historic Fort Snelling. There's also a lively nightlife to be had and several walking tours to choose from. As you'd expect in a city that houses the headquarters of several large national and international companies, Bloomington's dining options are rich and varied. 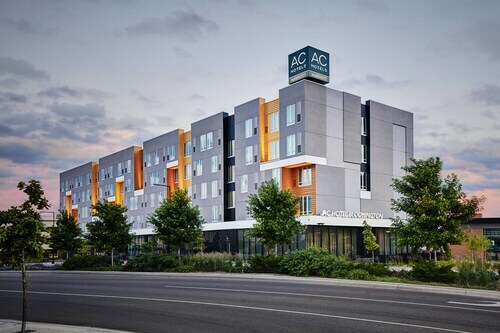 Of course, many Bloomington hotels offer their own restaurants, but you also have plenty of outside options to choose from. Drive Highway 494 and you'll pass Latin taquerias (taco shops) and Mongolian BBQs, plus plenty of other Italian, Japanese, Chinese, and Mediterranean options. Most restaurants are within a couple blocks of the highway or other main roads, including a cluster of organic and high-end dining options on York Avenue South and Frances Avenue South. 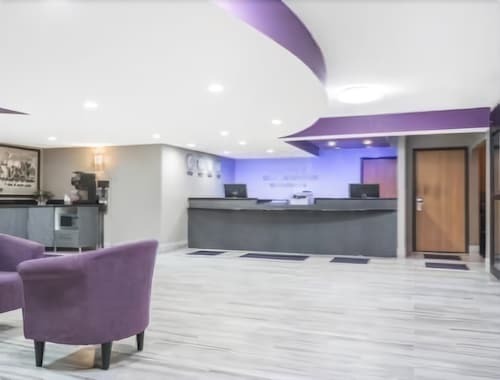 Shop for the best Bloomington vacation packages on Travelocity and take advantage of our Travelocity Price Guarantee: If you find a better price on cheap hotels in Bloomington or any other part of your itinerary, we'll honor that price and refund you the difference.